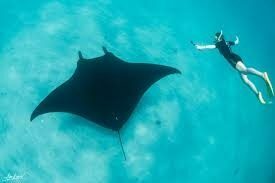 Manta Rays near Cerralvo Island are back after disappearing for over 16 years! We launch every day from Playa Central at 7am and usually experience these magnificent giants all by ourselves. As we’re are finishing, leaving to go explore Cerralvo, all of the boats from La Paz arrive! Limit six people, cost $125 per person. A portion of the proceeds goes to Manta Mexico – local research group working since 1999 studying the mantas (See them on Facebook).